“The Nutcracker” is one of the world’s most famous traditional ballet shows. 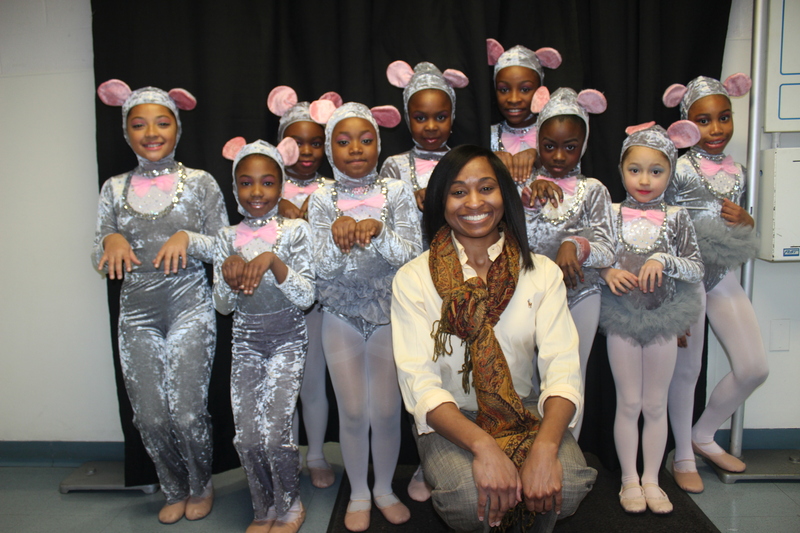 Every year, ballet students from Ms. Jade’s class are given a chance to participate in the Albano Ballet’s Nutcracker production. The young dancers not only take their two regular classes every week, but also come in every Saturday for two months to get ready for the show. It takes months of work for the girls to learn all the choreography and get it ready for their performance. They do two shows, one on a Saturday and one on a Sunday. 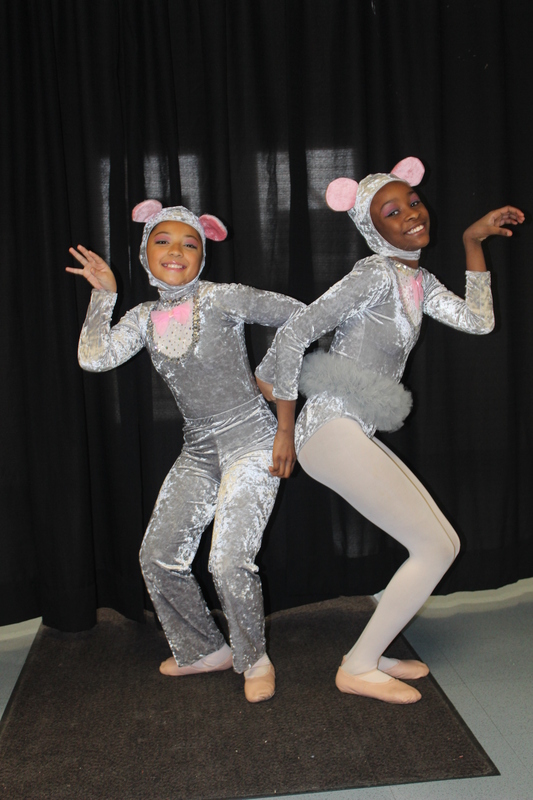 The girls love participating, and you can see it in their smiles and their excitement backstage. 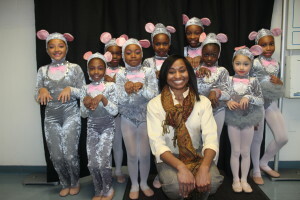 The girls were a part of the chorus dancers of “bon bons” and quite a few of them also got to dance a more advanced part of the “mice.” It is something they look forward to every year. Every day I try to think about something that I am blessed with….today I am blessed to have Dan Laffin in my life. For those of you who have met Dan, totally understand what I am talking about. Dan is best described as an institution here at Downtown and today is his 81st birthday! When Dan is around, you know it. He is joking and laughing and often times whistling. He is a role model for all who have the pleasure of knowing him. Every day, no matter what may be happening in his life, Dan is always smiling and that in turn makes everyone around him smile!! Dan is special. Thank you Dan for being part of our lives and Happy Birthday!! A month ago, one of our members with Parkinsons developed pneumonia, and was out of commission for four weeks. With his condition, he needs to exercise every five hours, or his symptoms increase dramatically. When he fell ill and was bedridden at the hospital, his physical fitness was failing quickly. 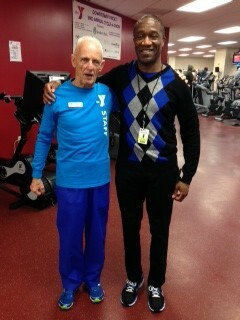 Everyone at the Y who works with him was very concerned, and made sure we checked in with him periodically. The Wellness department staff all signed a Christmas card for him and sent it out to lift his spirits. 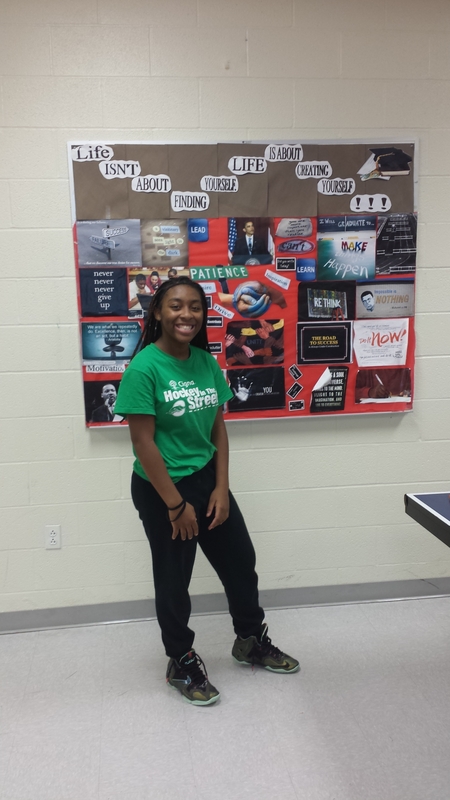 The Y-TIP program has a very intelligent 8th grade youth by the name of Shakyra Asiam. She has recently joined the Y-TIP and Peacebuilders program this year. She attends the program twice a week for a total of four hours. Shakyra is very much involved in the YMCA. She has participated in all of the college tours and volunteer events hosted by the Wilson-Gray YMCA Youth and Family Center. This shows her commitment to her education and community. She also plays for the girls basketball team and volunteers with the younger age youth basketball program. She has found the way to develop great time management skills at a young age. Despite all of the extra-curricular activities that Shakyra is involved in, she still excels in the classroom. She is an Honor roll student Martin Luther King School. SA is the true definition of a student athlete. She is invested in her community and is seen by her peers as young leaders. She is making great strides to lead a bright and successful future. We are pleased to have her involved in our programs. Through the YMCA she is being exposed to a lot of new and empowering experiences. Over this past year, as many of you know, the Greater Hartford YMCA has partnered with the Hartford Marathon Foundation. 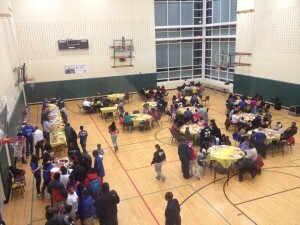 While we were at each event, we held a raffle for people to enter to win a free 1 year and 6 month membership. As the season ended on December 8th at the Mitten Run, we drew the winners this week. The winners are Brenda Bachman from West Hartford and Mary Anne Lynch also from West Hartford. When I called Mary Anne Lynch to tell her that she had won the 6 month membership she was not at home so I left a voicemail. When I arrived in the following day there was a return voicemail from her…..
She said she couldn’t believe the voicemail that I left her, she was so excited to have won the membership. She said that she was a marathon runner and with all the cold and snow this season she had been starting to worry about getting in her training…. She ended by saying she just couldn’t believe that she had won the membership! When I wrote to the Hartford Marathon Foundation to let them know who had won the raffle, Beth Shugler, CEO of the Hartford Marathon Foundation, told me that Mary Anne Lynch had been a long time volunteer for the foundation and how delighted she was that she had won. It’s amazing how what goes around comes around….When we give, we often get back in a variety of ways. It was so great to see how excited she was to be a member of the Y and it was even better that she was connected in some way to our partnership with the Hartford Marathon. Our Tri-Town Program Director, Jeff Spadaccini, came into work yesterday to find a gift waiting for him at his desk. One the children in his Childcare group had left a decorated water bottle filled with candy for him as a holiday gift. Not only did the child surprise Jeff with this act of kindness, he also made one for the four other staff members that look after him. Remember when your mom used to force you to get a gift for your teachers or write “thank you” cards “because it’s the right thing to do?” Well, according to this child’s mother, he came up with this idea all on his own and INSISTED that he make one for each staff member. I’m sure that this little surprise gave Jeff and his four staff members a huge smile on their faces and a warm feeling in their hearts. 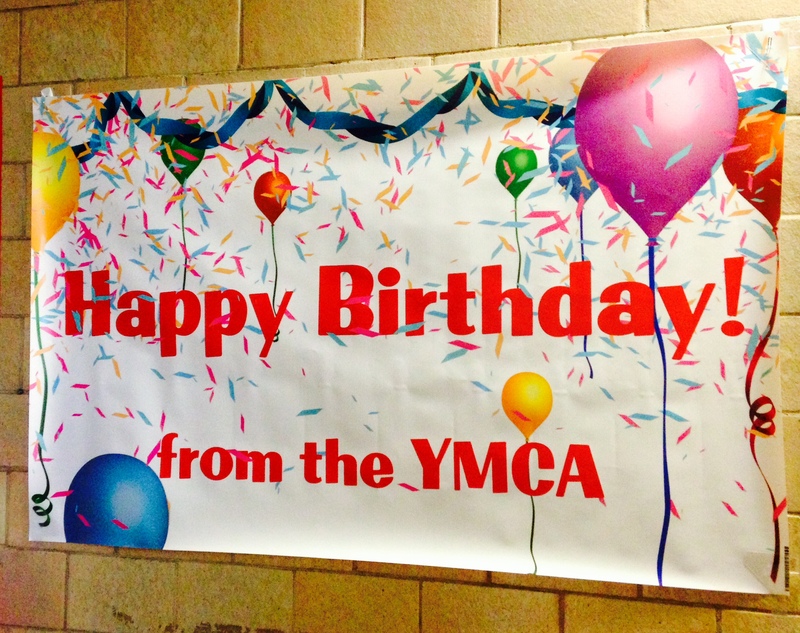 The staff at the YMCA are like no other. As I walked into the gym to do a site visit for our floor hockey program, I was greeted by a wonderful rendition of “Happy Birthday”. Our brand new floor hockey instructor, Heather, was leading the charge. She had noticed on her attendance sheet that one of her participants was turning five. Not only did Heather sing to the child, but she had purchased a hockey goodie bag too! It has inspired the West Hartford staff to make this a tradition. Whenever a child has a birthday during a YMCA program, the entire staff and program participants sing “Happy Birthday”! A Success Shared By All! Four-year-old Abby had been determined to take the leap off the block at the end of her session of swim lessons. All of her classmates had done it; EVERYONE knows you follow your instructor into the ‘big pool’ and jump in at the end of the class. Abby had been mulling this over, and working hard to convince herself she could do it. Sadly, when the time came, she lost her nerve, and left in tears of frustration at her own inability to gather the nerve to do the thing she had so desperately wished to accomplish. The next day while visiting our Y with her mother to swim, she remarked that she had actually had a dream about jumping in, and asked if might be possible to try again. Our head guard and Abby’s swim instructor, Courtney, happened to be available, and off they trooped to our lap pool. It was busy that day – a full water fitness class was in session, and several members were swimming laps. After a long while of gentle coaxing and a lot of reassurance (which included Courtney and another instructor who was off duty, but available and willing to help), Abby made the jump. The most terrific part of her experience? Not simply the confidence Abby gained, not just the sense of pride and accomplishment she felt, but the uproarious applause and cheers she was greeted with upon her emergence from the water. The entire population of the pool had paused in their own activities to watch Abby, silently encouraging her and sending best wishes to a young girl who clearly needed all the good vibes she could get. The outpouring of support that was organically created and spontaneously displayed spoke volumes about our members and humanity in general…it also contributed to one of the best memories of Abby’s life. This year was my second opportunity to organize Wilson-Gray’s annual Thanksgiving Potluck Event that is held on the Tuesday before Thanksgiving. This years event was a huge success. I was overwhelmed by the turnout of those coming to partake in the feast as well as the significant number of volunteers that came to help out. We had over 160 youth, members, and staff along with their families, in attendance. This is a significant increase over last year! We could not have been as successful as we were without the youth and adult volunteers. We were also blessed with assistance from volunteer cooks that shared their time and energy setting up and offering their culinary expertise. In addition, the Glastonbury Family YMCA Leadership group, the Wilson family, as well as James Morton and Sonia Toledo from the association offices all helped setup, serve and clean-up at the end of the event. 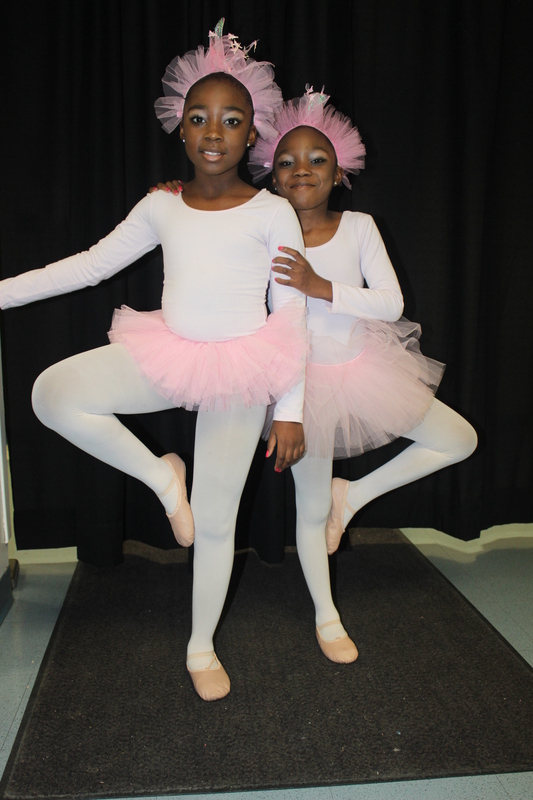 This year we were blessed by wonderful entertainment from the Hartford Prekindergarten Magnet School YMCA After Care participants. Melody Santiago organized the children in a turkey song that was the hit of the night. I was so happy to be able to provide an opportunity for our members and program participants to enjoy a holiday meal and share their blessings of the past year. This past week I received a card from a woman who lives in Kansas who had reached out to me to ask if she could borrow our piano to practice for a Christmas show she was going to be in back home. She was traveling in Hartford and had no where that she could practice. Thank you so much for allowing me to practice the piano during my convention stay in Hartford. As a stranger in a new city, I turned to churches and the YMCA for help. Thankfully, your organization was gracious to not only provide the needed space, but also to present a friendly and welcoming face. It’s amazing how kind gestures can make a lasting impression on an organization and a city!! I feel this is admirable, and I would like to donate to the Strong Kids Campaign. Since our cantata is made up completely of volunteers and any donations that we receive are given to Christmas Baskets for the needy, I hope that our mutual efforts make a difference to those in need! !